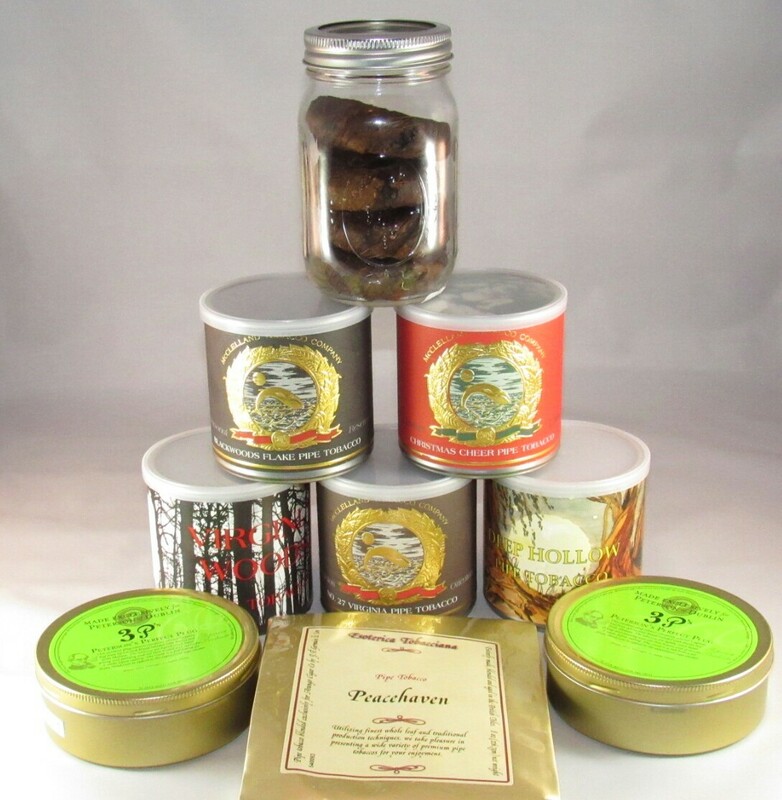 I always enjoy reading Pipe Scoundrels in-depth tobacco reviews with a punch of humor thrown in to keep you from falling asleep at the wheel. I’m going to go out on a limb here and assume that most of the people reading this review have probably tried Middleton’s Cherry Blend at least once in their lives. Typically the opinion of Middleton’s Cherry Blend is that you either love it or hate it… Personally I’m not a fan but if you enjoy it, more power to you. So why the hell did I bring that up? Because as soon as I lit my first bowl of Bootlegged all I could think was, “Oh no… this is going to be like Cherry Blend.” Thankfully I was wrong but we will get to that in a few minutes. Ahh Christmas it brings a twinkle to every childs eye, the magic of old St.Nick, the chill in the air and lights lit for as fas as the eye can see. I too felt like a child Christmas morning, it seems Dad was also on the good list this year. 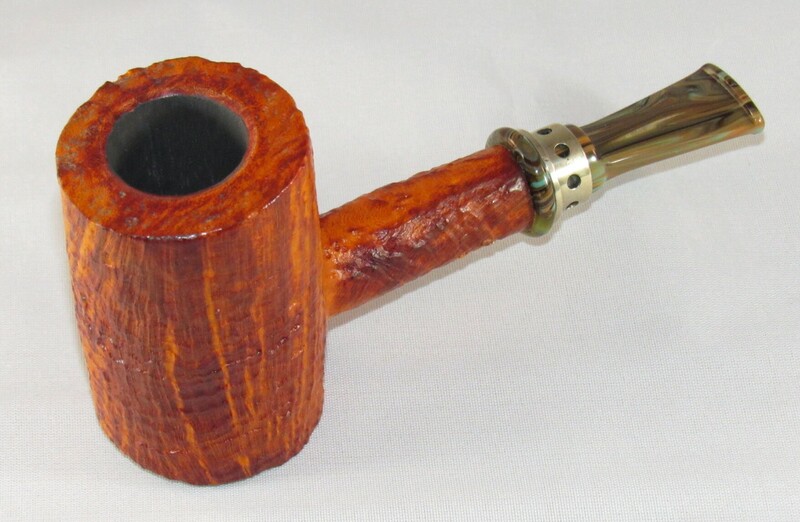 A pair of Neerup sandblasted classic cherrywood pokers. 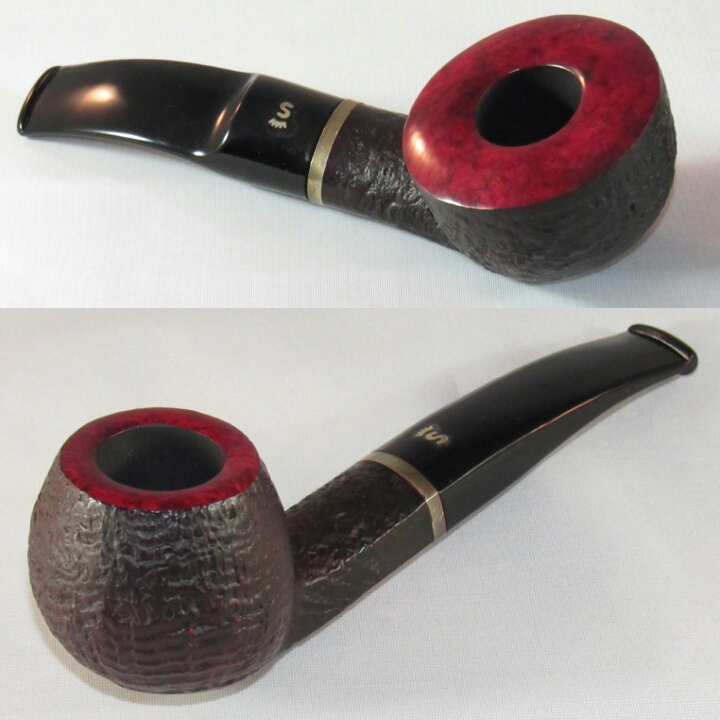 Savinelli Trevi 616 & Peterson Donegal Rocky XL 90. 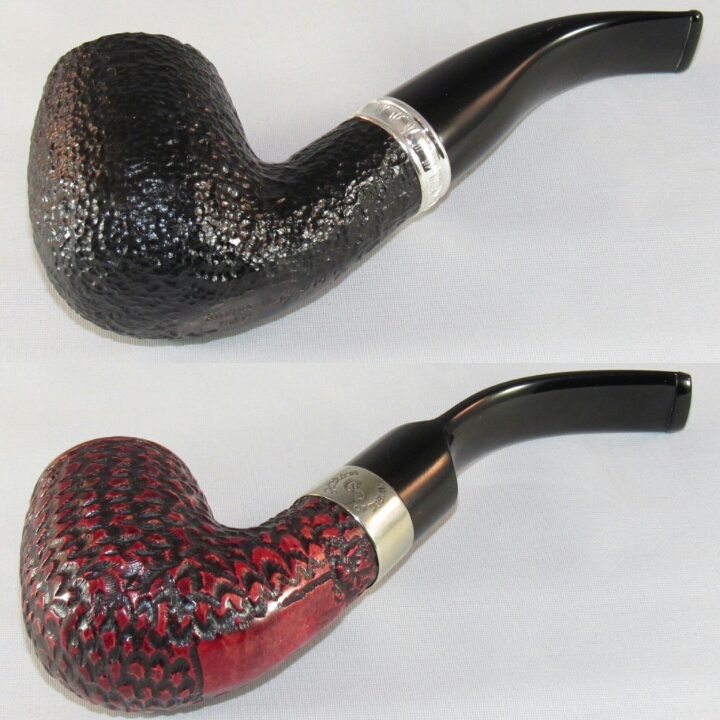 A pair of Stanwell Sterling Black 95 & 182. And tobacco out the wazoo. 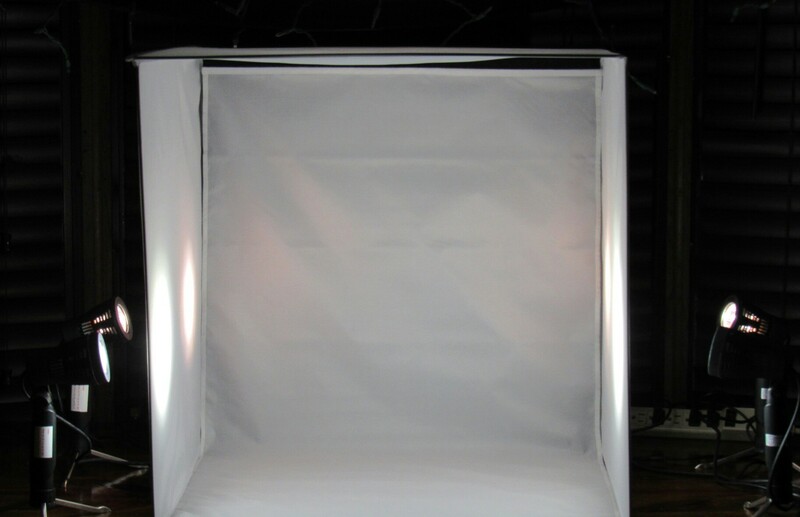 Photo’s taken in our new folding photo studio. Between my wifes and my blog it makes things a little easier then covering cardboard boxes with printer paper. 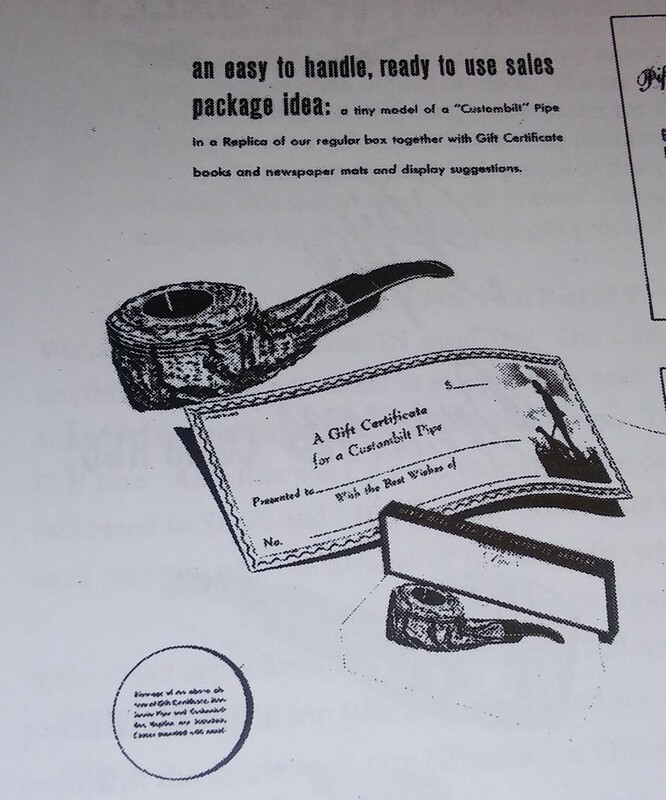 My wife is apparently in cahoots with the fat man himself and was busy amassing a stockpile of pipes & tobacco Wow! I can now scratch a few off the pipe bucket list . Thank you Baby. Now the estate pipes, the deal was no shopping until after Christmas and thats a hard pill to swallow, between Ebay, Etsy and the various online shops I frequent on daily basis, but I was good and left it to my wife, daughter and father to catch the deals. Thank you Sue, Mack & Dad. This was a nice addition to my collection. 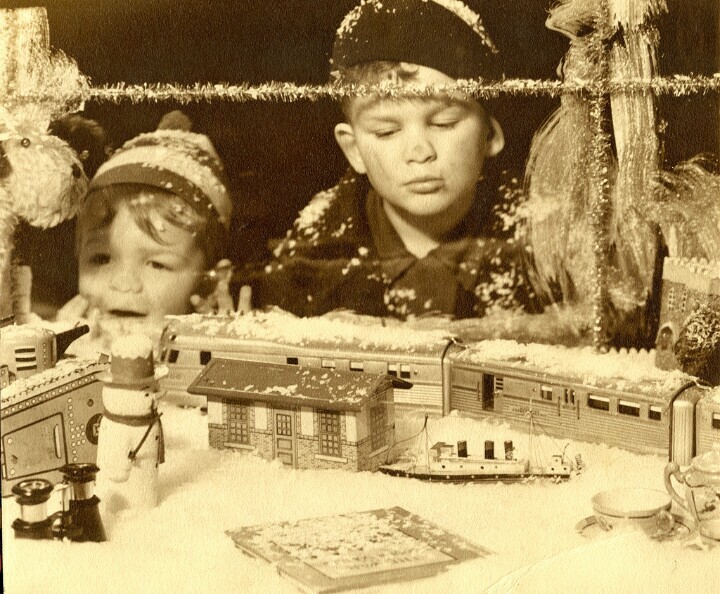 Picture Christmas morning 1940’s-1950’s and this tinny box awaits you under the tree in closed a miniature Custombilt and a gift certificate from your favorite B&B . 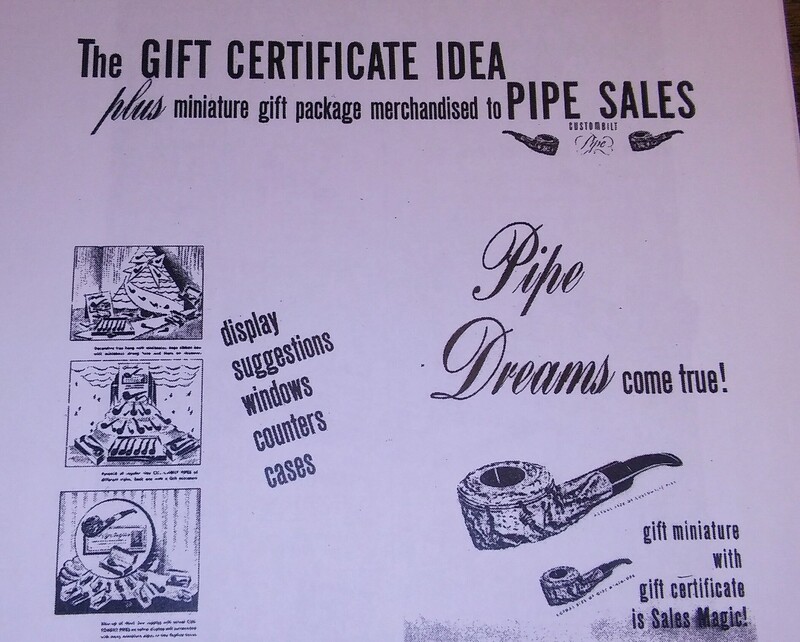 The miniature pipe and certificate would then be turned in for a full size Bilt of your choosing. They were non-smoking miniatures made of clay or wood. Top Bilt Un-Smoked Mincer era, bottom Chunky bull Mincer era. 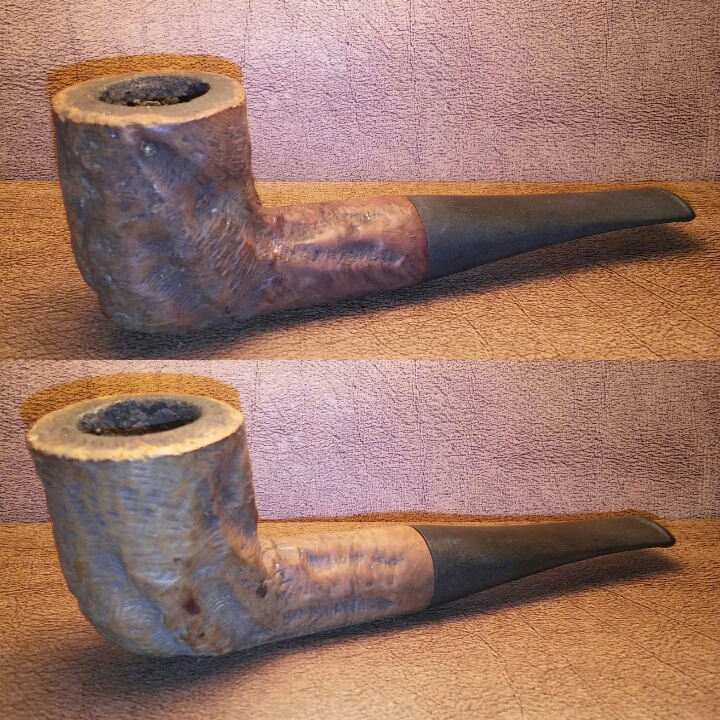 Top Bilt Mincer era, bottom Wally Frank era. Two Mincer era bilts very worn nomenclature. 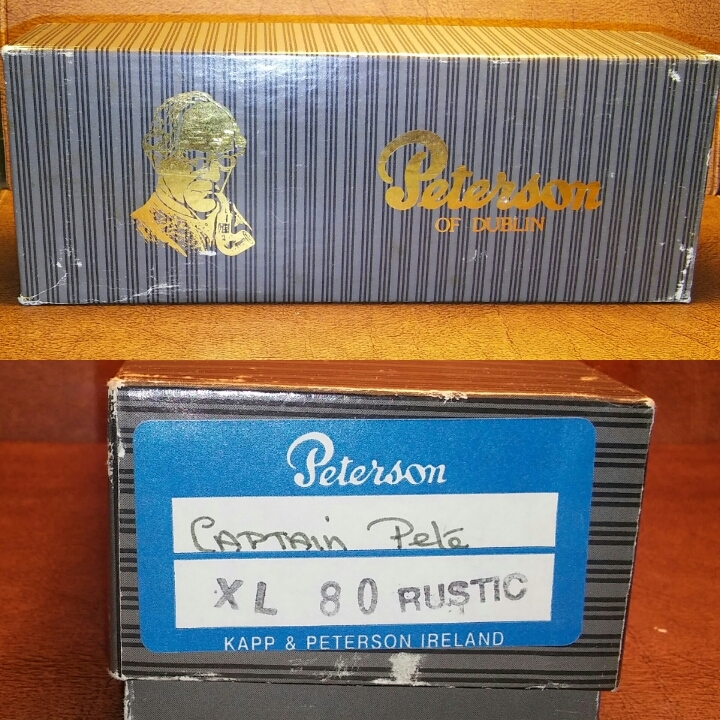 Captain Pete XL 80. 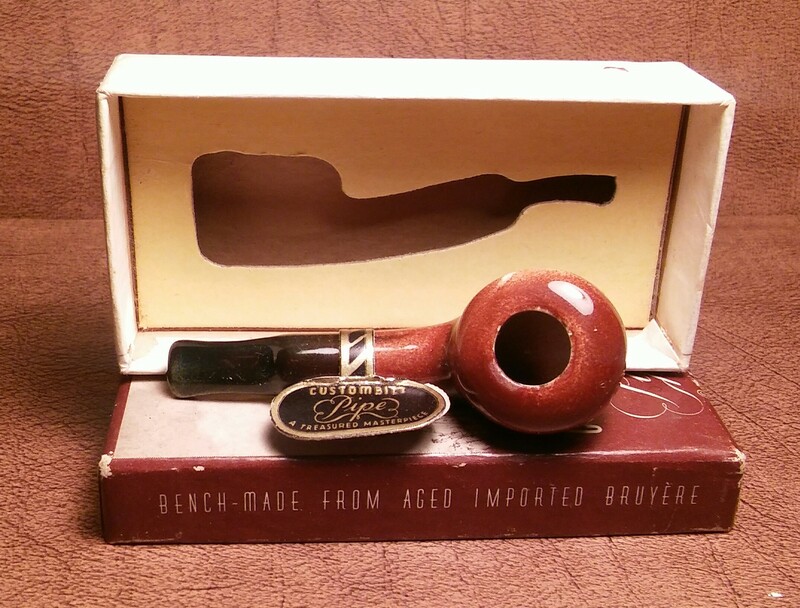 This was a big bucket list pipe that I have been in search of for some time now and original box to boot. 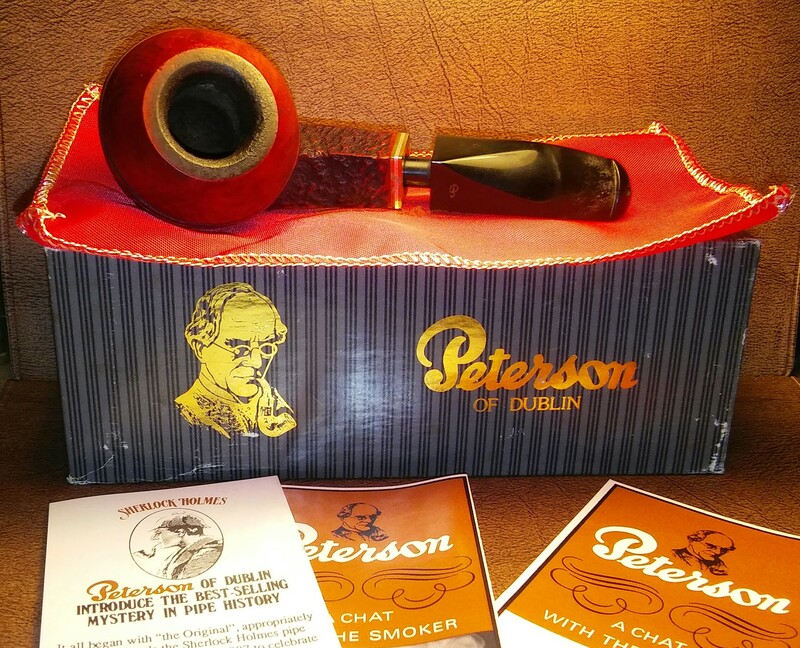 I have been a big fan of Peterson pipes and the Captain Pete with it’s shorter stem and fat bowl was one I had to have but didn’t expect to ever get. 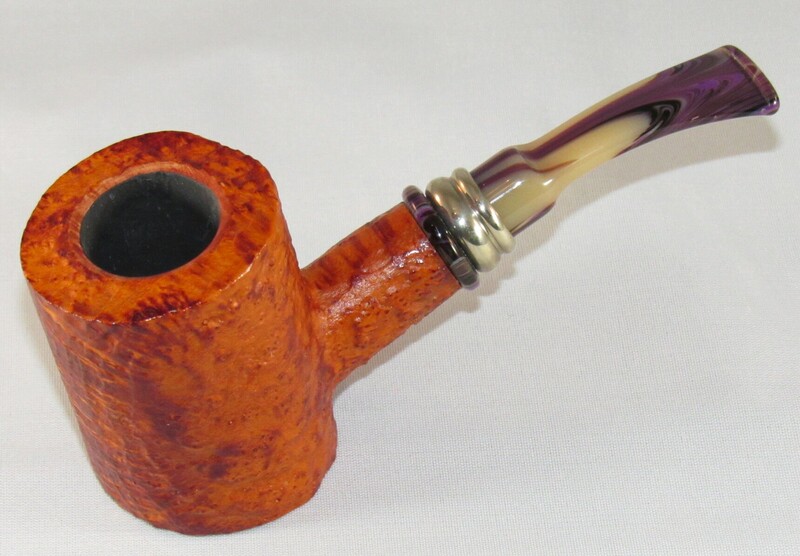 And last but not least a 2013 Brian Doran handmade poker. 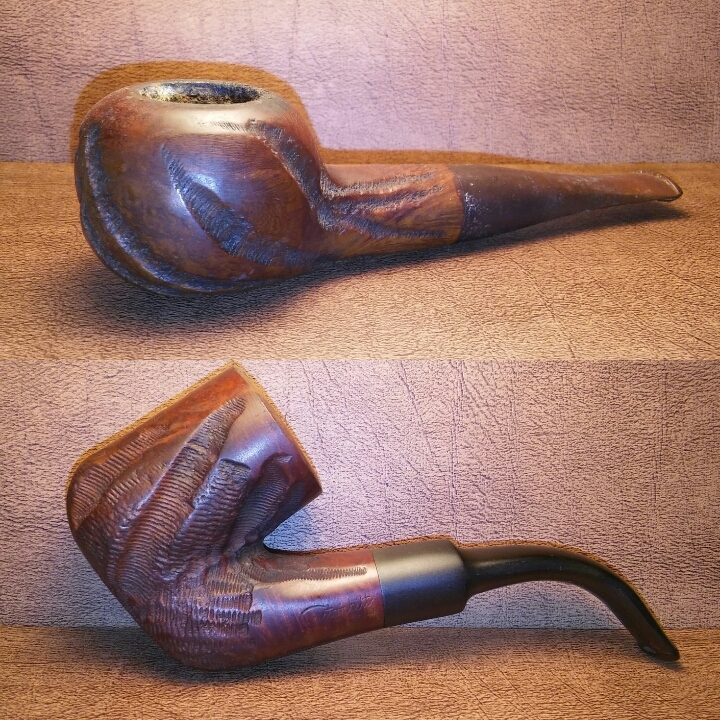 I have many pipes in my collection but I didn’t have a poker. Now with the Doran and two Neerup’s I have three. I hope everyone had a safe and happy Holiday and enjoyed family, friends and a good smoke. Now after a month of dealing with a medical annoyance doctor’s have put me on a cocktail of meds to control my chronic hives and angioedema. The swelling in my hands has finally subsided so I can now get back to my refurbishing projects. My plate is full of new estates waiting to be put back in service. 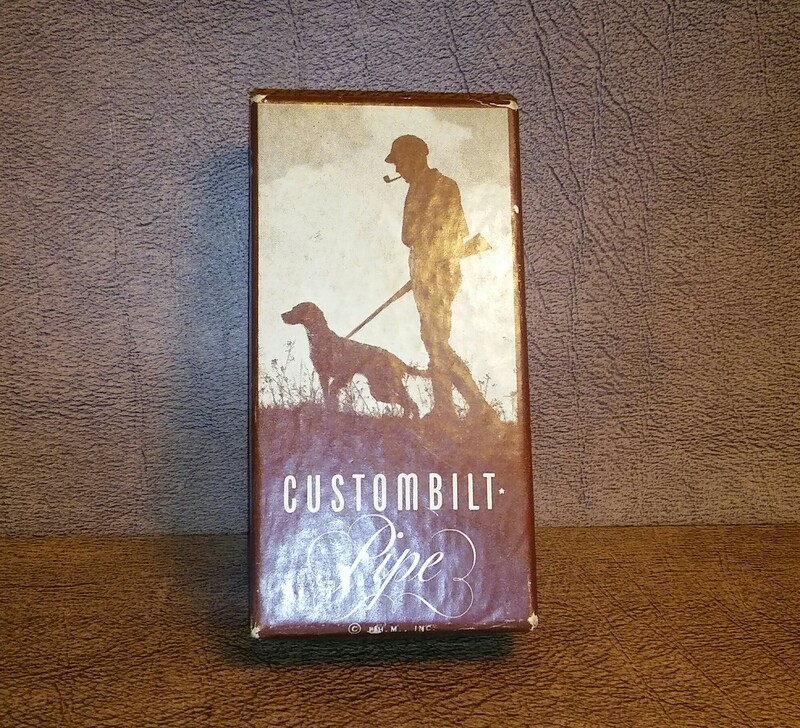 I will begin positing new restorations this week starting with a beautiful Rich Era saddle grain Custombilt sent to me by Clint of Pipescoundrel . 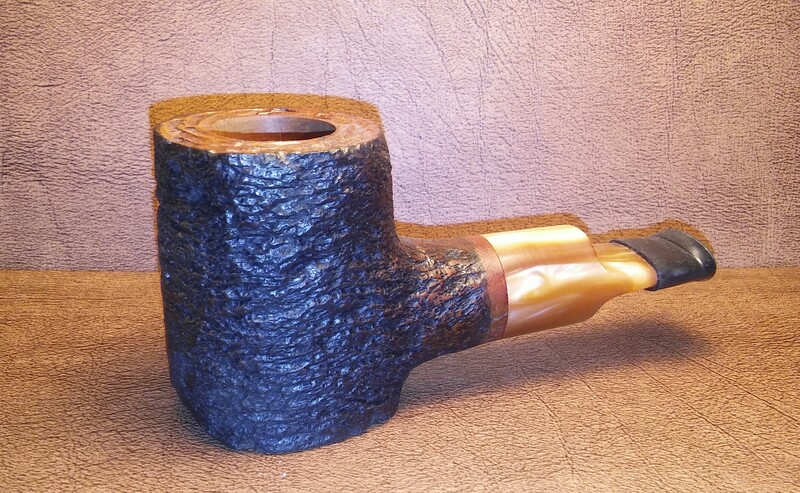 The pipe community is in deed an amazing lot of folks and Clint of Pipes Scoundrel is one of them. 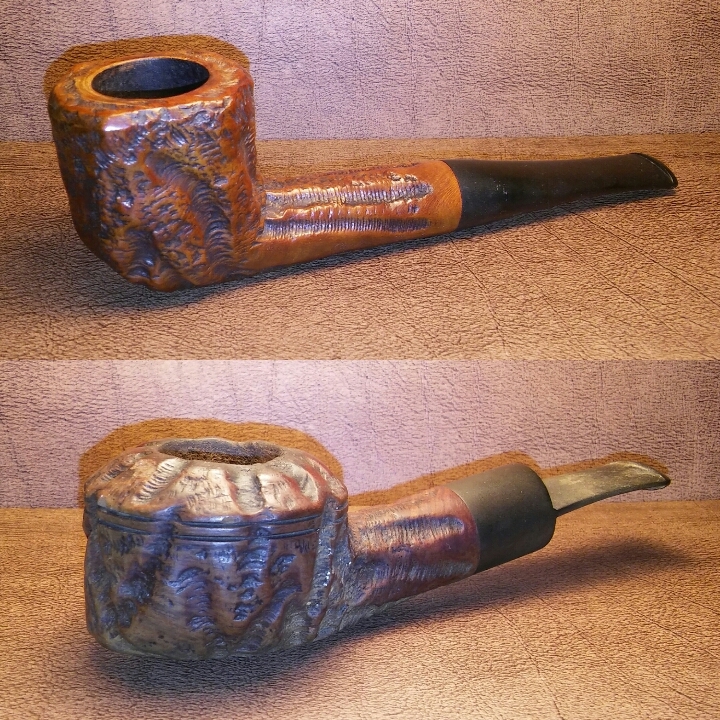 The Custombilt pipes are in the works and hopefully I can post one on my blog after Christmas. 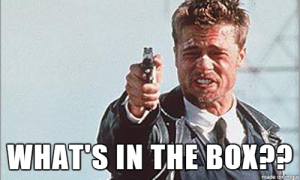 I dig the Se7en quote. I’m fresh out of severed heads but enjoy the pipe & tobacco. Yesterday, I came home after a long day at work and was surprised to find a box sitting on my front porch. I hadn’t ordered anything recently so I was a bit confused as to what it could be. Seeing as how I’m a world famous pipe blogger I was a little worried that maybe a crazed fan had mailed me a severed head or something… Unfortunately the box was a little to small for a head, (maybe next time) so I brought it in the house and opened it. What I found inside was even better than a human head. Okay, maybe not “better” but every bit as good as a human head.